In 2013, Chris and Mary Spitzer began serving with Kingdom Air Corps, a missionary aviation organization based in Alaska, which has trained rural/bush pilots to serve in various countries throughout the world. Chris is an A&P mechanic and also works on various facility-maintenance projects. 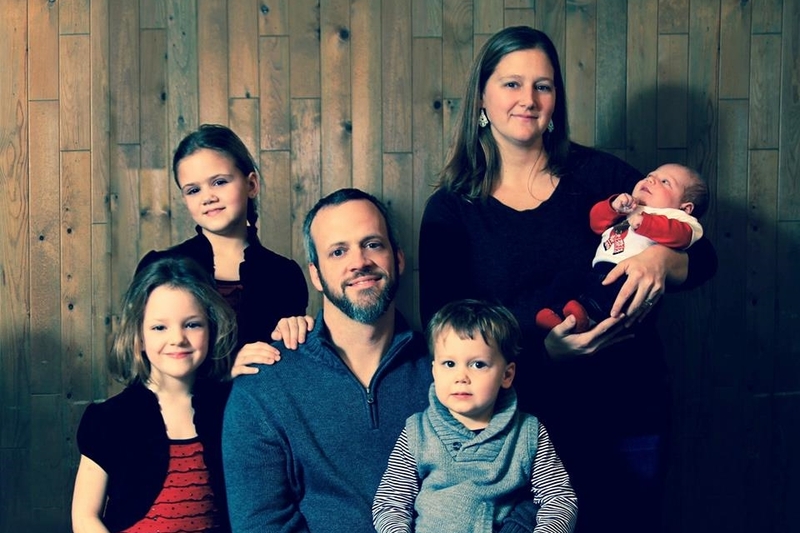 They recently bought a house in Sutton, AK, in order to better serve Sutton Bible Church and the community (one school, a library, a post office, a bar, and a general store/cafe). Chris serves as an elder and adult Sunday school teacher and also preaches periodically. He has been attending Alaska Bible College in Palmer and received an AA in Biblical Studies in May 2016. When he is not at KAC or school, he is involved with various outreach ministries, including a Bible Study at the local cafe. Mary is involved with music and children’s ministries, and is homeschooling the three oldest of their four children. They are trusting God to use them in Sutton until He leads them elsewhere! Find the Spitzers on Facebook here.